A testimonial from a Superbike-Coach student who took one of our track rider coaching programs. Coach will challenge your conventional thinking and as long as you do this, you will come out having learned something AND improved your riding skills. Coach Can definitely nails teaching riders of all skill levels. 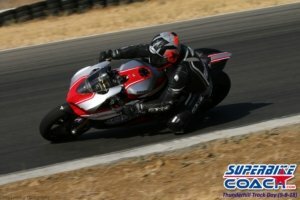 Superbike-Coach is definitely among the best motorcycle riding schools in California. Signing up for every course of his on every empty spot I got! I feel it is like a cadet army training, the first part is the toughest, but if you make the cut and comeback, things change, be ready to learn A LOT!!!. Now I have also signed up for the knee down class and track day, I’ll also repeat CSD2 and 3. I am always looking towards improving my skills from a very knowledgeable coach. I figured that Can would be such a coach, and boy, was I NOT disappointed.